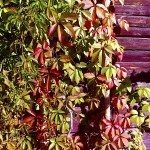 My Virginia Creeper has been full and hardy for many years. We had a very cold, snowy and long winter in Alberta this past year and my creeper has not budded out. The main stalks and stems are still green and alive it seems. What could have caused this and will it come back if I do not cut it down? I would fertilize with fish emulsion and add some compost to the soil. Give the vine more time, winter was very hard on many plants this year. I had given up on my Star Showers Virginia Creeper this year, but suddenly starting sending up some shoots and leaves. I'm zone 4.